The impact of employee advocacy on content sharing is bigger than you can imagine! It has been estimated that just one employee sharing three content items in a day for over a year can result in an additional reach of over 23 million. This is the reason, every company must focus on employee advocacy because that can have a huge incremental impact on content marketing. Employee advocacy is all about promotion of the brand with the help of its employees. In other words, your employees are your brand ambassadors. So, how can you make that happen? The first step is to conduct a poll and see if your employees are really passionate about sharing your brand vision across their networks? This will help you to devise a plan that first trains the uninterested employees and then turn them into brand advocates. Here are a few tips and strategies that really work! Offer them a good work environment where they are free to keep their thoughts. Offer more leadership opportunities and work from home options. Keep them informed by sharing high-level insights about the company. Incentivize and recognize your employees for their good work. Make them feel excited about their work – the company’s culture, the behavior of the managers and the overall office environment can make a difference. Improved brand awareness because when individual employees share the content pieces among their groups, the reach of the content is enhanced. Many employees hold several years of experience in their field and allowing them to create content can result in solving the most pressing customer problems. Rise in the amount of inbound traffic. Rise in the number of social engagement. Increase in the average time spent on site. Increase in the average time spent on targeted web pages. In order to see good results, you need to be patient because it won’t happen overnight. 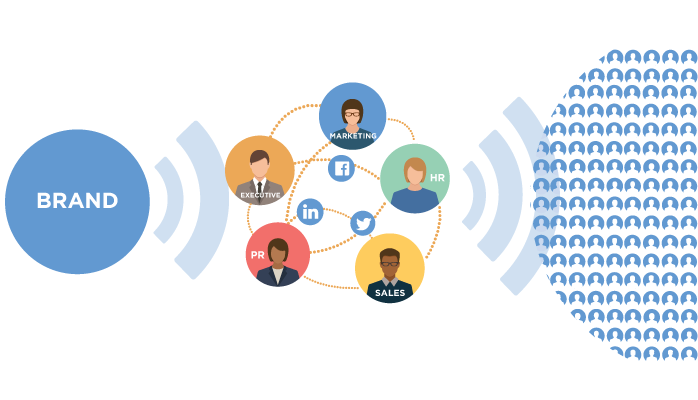 With the help of right strategies, employee advocacy program can play a huge role in boosting your content marketing ROI. Last but not the least, I would also advise you to adopt a documented employee advocacy strategy and take every effort to correctly measure the results. Digital marketing industry veteran with over 12 years of experience. He is an active contributor for SEMrush, Hongkiat, Memeburn and Hubspot.